Many of you have probably used the app “Talking Tom” by now so “My talking Tom ” would not come as something completely new. It was a very fun app to use, extremely popular among kids especially (we’re not suggesting anything here) with the funny cat able to reproduce in a very amusing manner anything you would have said. So if you enjoyed that, then maybe you’re gonna enjoy “”My talking Tom” even more. 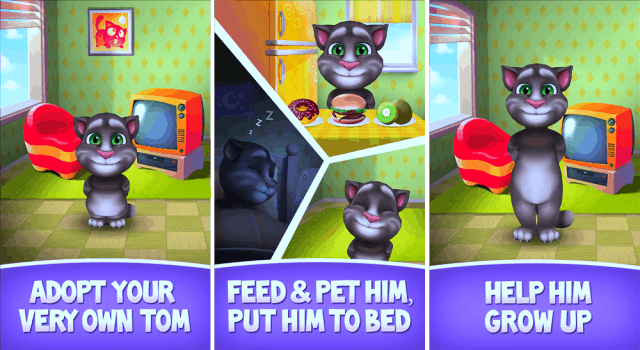 “My Talking Tom” for Android takes everything one step further. One step further means you will now be able to grow your cat, pet it, nurture it, etc. So basically you’ll raise your own cat which in turn will turn out to be a part of your daily life. So many things have changed since the “Talking Tom” app. 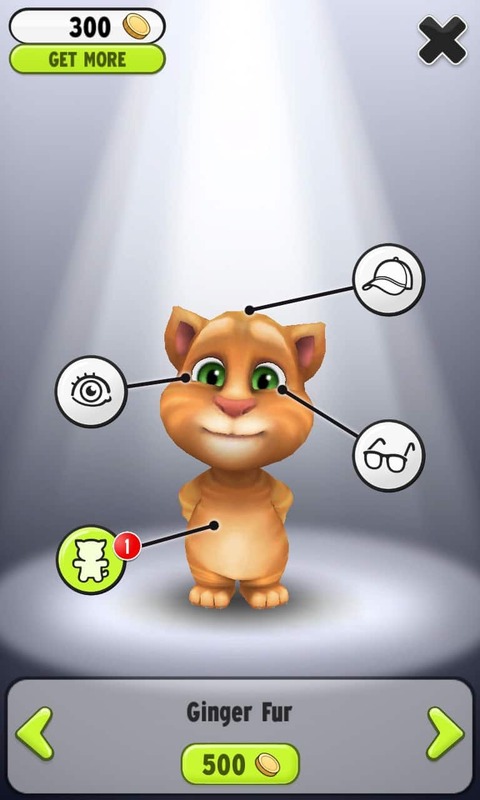 While in that app you couldn’t do more than just play around with your cat and get funny responses with a funny voice, in “My Talking Tom ” there are a wide array of options available to you. All of these options will allow you to create a pet that will suit your own tastes. How far did they go with this customization capability? Well let’s just say that you will be able to pick the clothes that your cat will wear in “My Talking Tom”. Yes, everything from hats to glasses will be at your disposal now. You don’t like his home? That’s okay. You can redecorate it to make it more livable and cozy for your favorite pet. Feeding him his favorite foods is obviously included. You can even tuck him into bed at night. 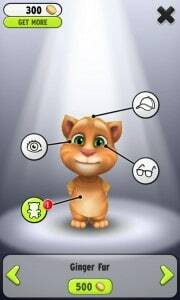 So many options will naturally provoke reactions and, more importantly, “emotions” from Talking Tom. Depending on how you will treat him, Tom will answer in different manners that will sometimes spell out various emotions. You treat him well and you will see him happy but if he might also get bored sometimes. Forget to feed him and you will most likely see how he is getting hungry. Thousands of combinations are now available in terms of clothing and other things. Furniture will be present and you will have to choose among various decorations. As he grows up, Tom will pass through nine different stages. You will have to play through 50 different levels which, upon completion, will grant you certain rewards. These rewards will include special unlockable items and coins. All of this while you will also be able to enjoy the classical features of “Talking Tom. Everything you need in order to progress within “My Talking Tom” for Android is obviously free and you will be able to earn gold coins through playing some mini-games and liking the app. So if you want to download the link we will provide the link at the bottom of the article. Play it and share your opinions with us.